The fact that İstanbul’s streets, apart from the main roads and intersections leading to marketplaces, were deserted until the mid-19th century is in itself a phenomenon that brought the city’s animals into everyday life. Especially in İstanbul’s Muslim quarters, no adequate relationship could be established between spiritual life under the roof of privacy and the worldly life of the street. Indeed it was this sense of distance that bestowed the street on the city’s dogs as their home. The fate of street dogs, which were the guardians of public property, began to change with the increasing will of getting closer to the “civilized” world. The Ottoman intellectual, who had seen the West, was not at all pleased with the appearance of İstanbul, which fell far short of satisfying those crazes; the streets were narrow and disorderly, the houses little more than ruins, the transportation system did not work, and infrastructure was inadequate. When the dogs, which one never encountered in European cities, were added to this picture, it became a far cry indeed from the modern world. While the four-legged municipality of the Ottomans was being transformed into the two-legged municipality of the Republic, the positivist concept of life was also expunging dogs from İstanbul’s history. 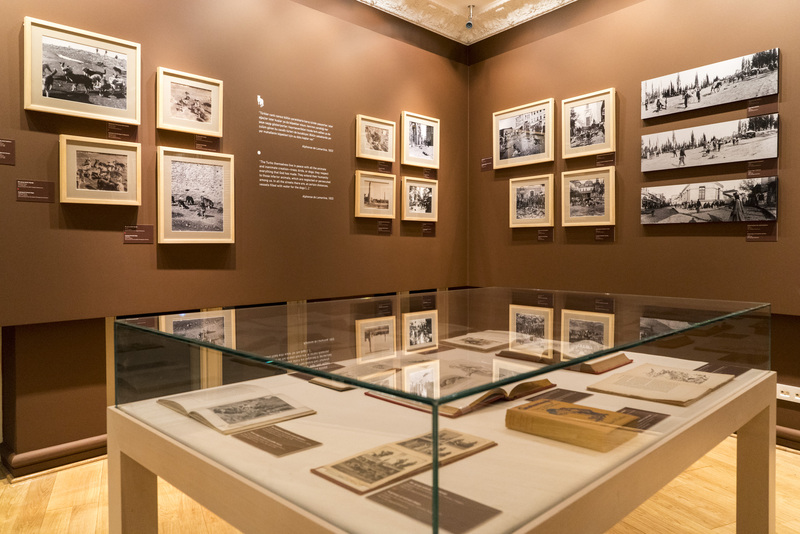 Through photographs, travel journals, postcards, magazines, engravings, and other media dated from the 19th to the early 20th centuries, the exhibition, curated by Ekrem Işın and counselled by Catherine Pinguet, follows the history of these fellow İstanbulites that played an integral part in the city’s social life during their coexistence with humans through the centuries. during a cruise in the Mediterranean aboard Cincinnati. Anonymous, 19 February – 3 April 1910. 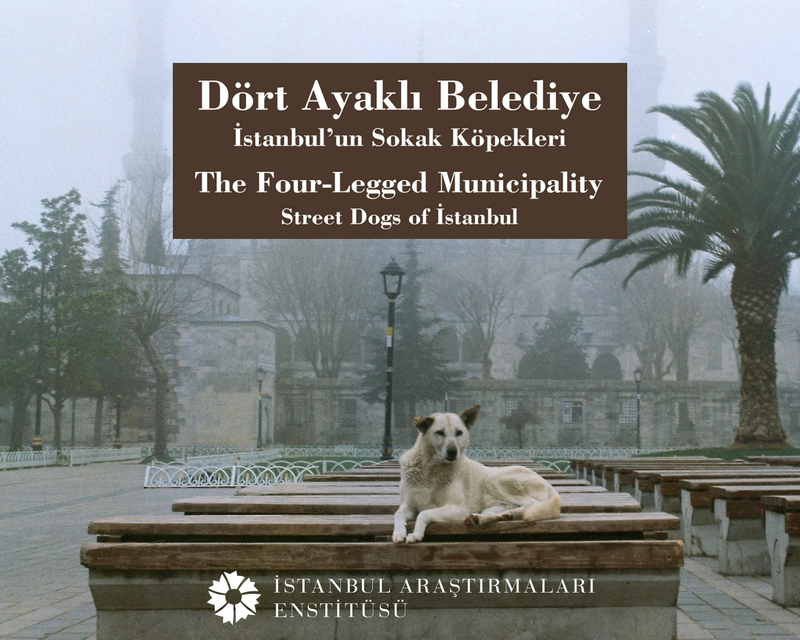 Dogs went through two consecutive and distinctly different periods in the urban history of İstanbul. In the four centuries long first period extending from the Conquest until the Tanzimat era, they shared their daily lives with humans. At the heart of this coexistence was the strong faith of the “people’s Islam” that dogs had entered İstanbul alongside the conquering armies of Mehmed II, coupled with the sense of compassion rooted in that same faith. During the classical period, they had been embraced, much like their human counterparts, as residents of the neighborhoods. They had assumed duties of the municipality and the police force, protected locals against foreigners as part of the introverted neighborhood life, and had assumed their places as fundamental figures in urban life. There is no doubt that this was the Golden Age of İstanbul dogs. These happy days of reign were followed by the modernization movement that began to influence the fabric of daily life as of the early 19th century. In this new period, dogs received their share of marginalization from the unoriginal, yet imitative implementations of Tanzimat modernism. 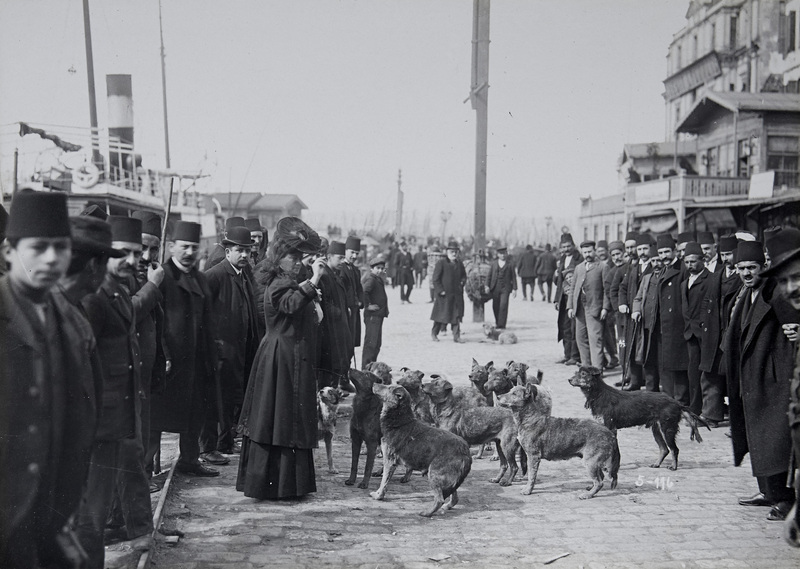 Striving to emulate European cities, the streets of İstanbul, much like these other prominent centers of population, was also to be stripped off dogs. Dogs meant poverty, unkemptness, being Oriental. The Tanzimat İstanbul; however, was ready to change this negative image. The reign ended and the exile began. The tragic adventure of the dogs sent into exile to various Marmara islands upon the orders of Mahmud II continued uninterruptedly until the great decaninization of 1910. In the “extermination” reports drafted by Westerners, dogs were evaluated based on their economic advantages; each dog was deemed worth 4 francs for its skin, hair, fat, bones, muscles, albuminous substances, and intestines. The total worth of the extermination or “decaninization” was 200 to 300 thousand francs. The people of İstanbul vehemently opposed this carnage. The rescued dogs were hidden away in barracks and homes by animal lovers. Soon enough, the city was invaded by Western nations that initiated the decaninization. The people’s conscience could not stomach this either. Until the “War of Independence,” a pall of gloom hung over İstanbul.